The wide variety of accommodation, three albergues (one public and two private), two hotels, three hostels, three centres of rural tourism, some apartments, and the short distance between them, makes Frómista a very comfortable place to rest and to choose accommodation. 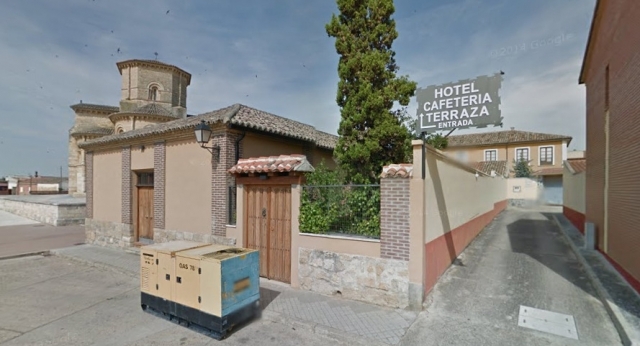 Furthermore, many establishments, such as the Hotel Doña Mayor, orient their services to meet the needs of pilgrims. Among the albergues, with all amenities, it is remarkable the option provided by the establishment Canal de Castilla, here pilgrims are offered the possibility of loaning a donkeys to accompany them on their long journey to Santiago. In summer, and in the event that all other accommodation is complete, a pavilion is set up as additional accommodation to meet the demand of pilgrims.